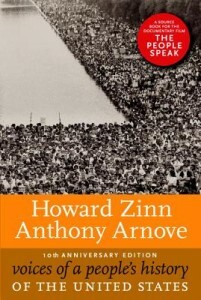 Voices of a People’s History is the companion volume to Howard Zinn’s A People’s History of the United States. For Voices, Zinn and Arnove have selected testimonies to living history—speeches, letters, poems, songs—left by the people who make history happen but who usually are left out of history books. Zinn has written short introductions to the texts, which range in length from letters or poems of less than a page to entire speeches and essays that run several pages. Voices of a People’s History is a symphony of our nation’s original voices, rich in ideas and actions, the embodiment of the power of civil disobedience and dissent wherein lies our nation’s true spirit of defiance and resilience. Here in their own words are Frederick Douglass, George Jackson, Chief Joseph, Martin Luther King Jr., Plough Jogger, Sacco and Vanzetti, Patti Smith, Bruce Springsteen, Mark Twain, Paul Robeson, Cesar Chavez, Leonard Peltier, June Jordan, Walter Mosley, Ethel and Julius Rosenberg, Yolanda Huet-Vaughn, and Malcolm X, to name just a few of the hundreds of voices that appear in Voices of a People’s History of the United States, edited by Howard Zinn and Anthony Arnove. ISBN: 9781609805920 | Published by Seven Stories Press. “When I began work, five years ago, on what would become the present volume, Voices of a People’s History of the United States, I wanted the voices of struggle, mostly absent from our history books, to be given the place they deserve. I wanted labor history, which has been the battleground, decade after decade, century after century, of an ongoing fight for human dignity, to come to the fore. And I wanted my readers to experience how at key moments in our history some of the bravest and most effective political acts were the sounds of the human voice itself. Included in Voices of a People’s History is the full statement Paul Robeson intended to present when called before the House Un-American Activities Committee (HUAC) on June 12, 1956. Robeson, who had been a fierce opponent of racism and the foreign policy of the United States, was not allowed to read his statement. Books – Non-fiction. By Howard Zinn. 2005, with a new introduction by Anthony Arnove in 2015. 784 pages. 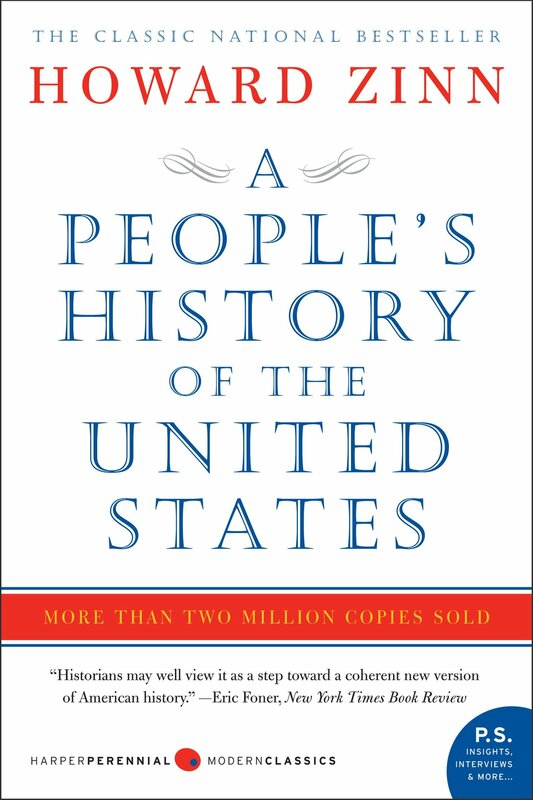 Howard Zinn’s groundbreaking work on U.S. history. This book details lives and facts rarely included in textbooks—an indispensable teacher and student resource.